Some of Hollywood’s biggest celebrities gathered at New York’s Lincoln Center Monday to honor Nora Ephron, who passed away last week after a battle with leukemia at the age of 71. A crowd of about 800 descended on Alice Tully Hall to celebrate the life and work of the legendary screenwriter, including actors Tom Hanks, Meryl Streep and Meg Ryan, The Huffington Post reported. Ephron, who received wide acclaim for writing and directing hits such as “Sleepless and Seattle” and “When Harry Met Sally,” was diagnosed with leukemia six years ago but kept her illness a secret from all but family and a couple of friends, according to the New York Daily News. 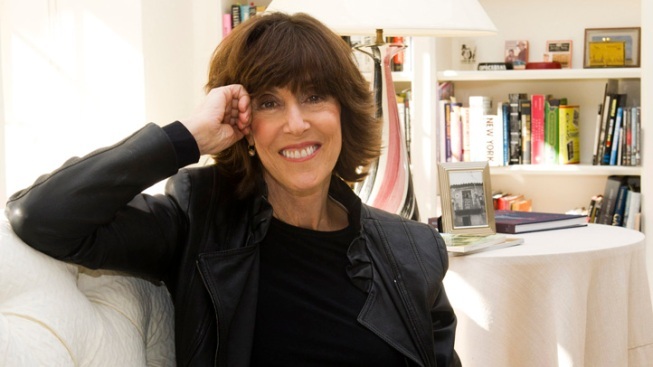 Before her death on June 26, Ephron pre-planned the details of her memorial, such as the playlist, the flower arrangements, and the list of speakers. In true directorial style, Ephron also dictated how long each speaker would get on stage, demanding that “all of us be finished in under 47 minutes," director Mike Nichols said, according to the News. Martin Short was the first speaker to take the stage, and was followed by 10 other speakers, including sister Delia Ephron, and comedienne Rosie O’Donnell. But instead of a somber gathering, Ephron’s memorial was filled with laughs and wry anecdotes, according to The Hollywood Reporter. "She couldn't stand the thought of complaining," explained Ephron's son, Daily Beast writer Jacob Bernstein. "She celebrated what was wonderful about life, and she felt that most of what was terrible about the world could be seen as funny."